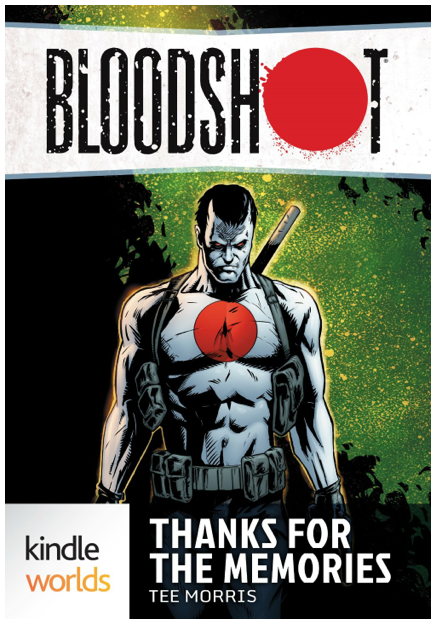 …after you consider my latest Kindle Worlds novella, “Thanks for the Memories” featuring Bloodshot. So who is Bloodshot? A very good question to ask as even Bloodshot himself is having issues with that. It all starts off great in Issue #1 until our hero discovers that “Ashley and little Johnny” are not the all-American family he thought they were. On an elaborate sting staged by Dr. “Manny” Kuretich, Bloodshot discovers his memories—even the ones he had forgotten—were all fabricated. 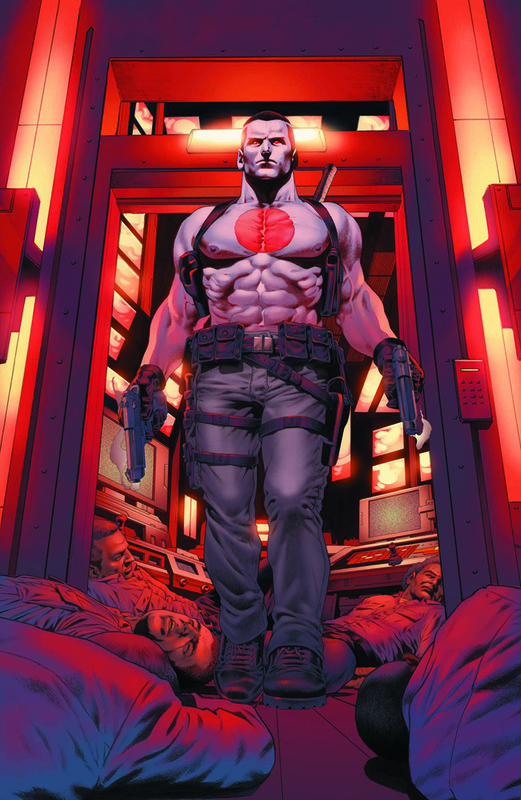 Now Bloodshot embarks on his own mission to find out who he is, or find out what he has become. Reading up on this hero, I found him more and more fascinating the deeper I got into his story. My original intent on “Thanks for the Memories” was to write an origin story for the super soldier as none existed; but then I discovered halfway through the novella that, yes, Valiant Comics was releasing their own Bloodshot #0. That didn’t mean I couldn’t forge ahead. In doing so, I got to add my own layer to the Bloodshot mystery. This project was an absolute blast for me, and a process of discovery that, I sincerely hope, fans of the comics and people brand new to Valiant also enjoy. To test the waters of the novella, I gave a preview at Capclave. This was a good audience as no one there was familiar with the comic, so after a quick sum up of the property and my inspiration behind the story, I introduced the audience to Captain Gary Winneki and his first step into a new direction for combat troops. I got laughs, I got a few curious nods, and even Pip gave me a good report on how the reading went. Now, the novella is live, alongside Delilah S. Dawson’s “Follow Me Boy” based in Valiant’s Shadowman series and my own “What’s in a Code Name” set in Harbinger’s universe. Share this post on your respected networks, and feel free to share your thoughts here or on The Shared Desk’s voicemail line at 703.791.1701. I’d love to know what you think. And if you like what you read, leave a review and recommend it to a friend. If enough people talk, I might be asked to write more. A win-win for everybody, right?